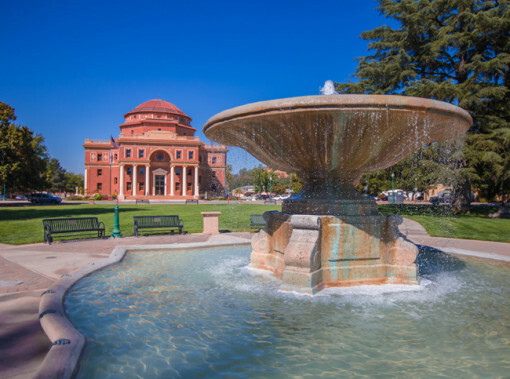 Make the most of your time in Atascadero by checking out our online blog to uncover historic local attractions, nearby hiking trails, food and wine festivals, farmers markets, and more. With temperatures rising to summer’s standards, it’s the season for taking in the silver screen under the starry night sky. 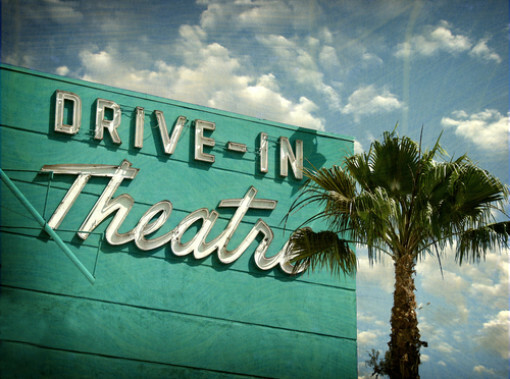 It’s an age-old American tradition: the drive-in — where families and friends can park their cars, pull out a blanket, snack on their popped corn and enjoy a double-feature flick. They seem to be fewer and far between as the golden age of jukeboxes and soda fountains fades into distant memory, but several survive including San Luis Obispo’s Sunset Drive-In. A nightly double of a family-friendly show followed by an adult-approved film keeps all ages entertained for less than the ticket of a typical theater show. Stock up on your snack of choice at the on-site Snack Bar or stop by Pluto’s on your way for a fresh salad, house-mashed burger or homemade sweets. Drive by during the day for treasures and deals at the Super Sunday Swap Meet held every week. Warmer days are ahead, but while we wait for the temperature to rise again it’s a wonderful time to take a dip in the area’s natural hot springs. Sources of hot, natural mineral water were first discovered around Atascadero at the end of the 19th century by oil drillers. It didn’t take long though for the pools to become popular spots to soak. The waters are a relaxing and soothing place for anyone to spend a few hours, but they’re also thought to be a source of natural healing. From increasing metabolism to arthritis, soothing muscles to diabetes, the hot springs can offer something to everyone. Take a dip at the Franklin Hot Springs where you can also catch sight of some local wildlife and try your hand at fishing. River Oaks Hot Springs offers spa services, like facials and aromatherapy, on top of a soak in your own private open-air mineral water pool. With a burgeoning wine scene, Atascadero is the perfect place to imbibe in life’s simple pleasures with your loved one this month. 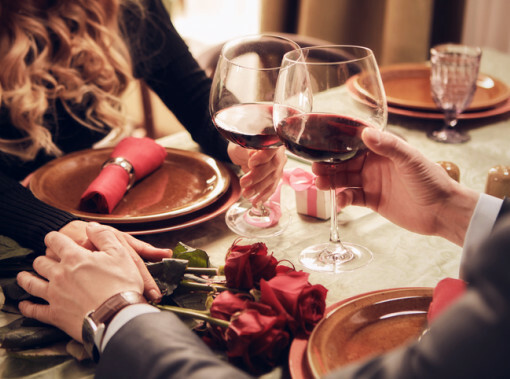 Slip away with your significant other and stimulate your senses while sipping some of the best wines the area has to offer. Start at Bella Luna where tastings of the winery’s unique red and white varietals have dominated the scene for 20 years. The experience here is well rounded with vineyard walks, barrel and portfolio tastings, and lunches. The couple behind Frolicking Frog Cellars has been creatively vinting since the ‘80s. What started with a simple Cab has grown into 18 vintages bottled to date including zins, merlots and original blends like their Jeremiahwasa and Jumpin’ Jehosaphat. But Atascadero plays host to numerous wine-inspired events—this month check out the Atascadero Sweetheart Stroll or the Creamery's 5-course cheese & wine tasting—throughout the year for those who want their wine tasting to be as adventurous as their relationship and taste all that the area has to offer. For over half a century, from the early 1900s to the 1970s, Atascadero lived under the title of “colony,” rather than becoming a city. Yet through the city’s changing history, one icon has remained the same. When Edward Garner Lewis moved to the California coast from Missouri in 1913 he had a vision to create what would become the county’s largest planned community. At the heart of it all would be the Historic City Hall. Pulling inspiration from the St. Louis Exposition for the building and a Sunken Garden in front, Lewis completed construction in 1918. Over the next 60 years, the building served as an administrative building, school, junior college, and Veterans Memorial Building. Today, the building once again stands as home to City Hall. Stroll through the Atascadero Historical Society Museum for a glimpse into the city’s changing past. Or, take a private tour through the halls that have stood through it all. There may not be snow, but the spirit of winter of still fully alive in central California. 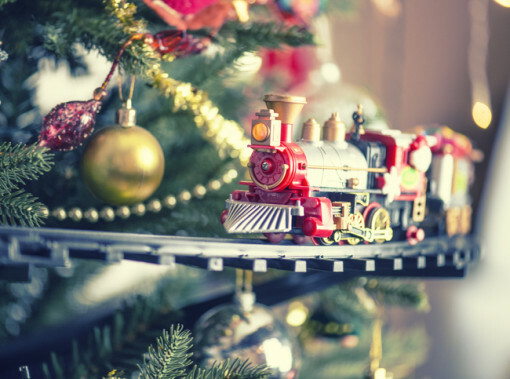 And, one of the Central Coast’s largest holiday festivities is right here in Atascadero. Grab your sled and spend the evening playing in the 53-plus tons of snow at Winter Wonderland. Atascadero’s Sunken Gardens and all of downtown will magically morph into this winter playland. Activities include a snow slide, climbing wall, bounce houses, holiday shopping, musical entertainment and, of course, Mr. and Mrs. Claus. Help the Charles Paddock Zoo’s keeper elves prepare a special holiday for the more than 200 animals at the Holiday Magic event. Spend the day exploring the zoo, giving presents to the residents, and sharing your Christmas wish list with Santa Claus. Then, ring in the New Year at the Pavilion on the Lake’s New Year’s Eve Bash. The Atascadero Firefighters are partnering with the city to plan this party that will benefit local charities. William Randolph Hearst spared no expense when it came to his own personal Shangri-La. Step inside for a look into the life of one of the greatest influencers on our culture. The media magnate, whose empire included publications like Cosmopolitan and Harper’s Bazaar, spent nearly 30 years building his mini metropolis on a hill. Between the main house and three guesthouses, the estate has 60 bathrooms, 58 bedrooms, 41 fireplaces, and 18 sitting rooms. Hearst thought of everything when it came to rooms and even included a theater, library, Gothic study and beauty salon. Two pools—the Neptune Pool and Roman Pool—played host to parties, gatherings, exercise, and fun. Also on the property are a Prohibition-era wine cellar, an airport and landing strip, and a few descendants of the creatures who once inhabited the Hearst Zoo. There are tours for every interest, from the Grand Rooms to Designing the Dream and Hearst and Hollywood. All the while, be sure to pay attention to the vast, international art collection throughout! This month features an outstanding roster of festivals and entertainment for our guests’ enjoyment, and a few of our favorites are listed here. First, opera aficionados will be enchanted with Opera San Luis Obispo’s performance of The Magic Flute on October 13-14 at the Performing Arts Center of San Luis Obispo. Mozart’s final opera has since become one of the most performed operas globally, and along with the glorious music, features enchanted instruments and fantastical characters – including a dragon! Next, join thousands of clam-lovers at the Pismo Beach Clam Festival on October 19. The festival will celebrate the grand reopening of the Pismo Beach Pier. A parade, fabulous vendors, and live music will accompany the luscious clam chowder and additional edibles. Also, more than 100 wineries will celebrate the vintage at the Let’s Harvest Happiness Harvest Wine Weekend on October 20-21 at various locations throughout Paso Robles. Grape-stomping, harvesting, live music, barbecues, and barrel samples are only part of the fun. For details, call (805) 239-8463. Lastly, come in costume to the Atascadero’s Farmers Market for Halloween at the Market on October 31. You’ll find locally grown, farm-fresh produce, and you just might get a treat. The city of Atascadero as we know it today began as the brainchild of one very idealistic and forward-thinking man. In 1913, Edward Gardner Lewis, a successful publisher headquartered in University City, Missouri, decided to found a model community in sunny Central California. Culling experts from various disciplines, such as agriculture, engineering, and urban planning, to help him design “Atascadero Colony,” home construction was underway by 1915. Lewis’s plans yielded impressive results. The Printery, which was the city’s first permanent civic structure, boasted the first rotogravure presses this side of Chicago. The crown jewel of Lewis’s utopia was the building that housed both Atascadero City Hall and the Museum until 2003. Today, this stunning example of Italian Renaissance-style architecture is a designated California Historical Landmark. For a fascinating window into our city’s rich and unique history, check out the Colony House Museum or the Historic City Hall, each of which is open for tours Monday through Thursday from 9 A.M. to 5 P.M. Colony House Museum is located at 6600 Lewis Ave., Atascadero, CA 93422. Historic City Hall is located at 6500 Palma Ave., Atascadero, CA 93422. One of the most renowned wine-making regions of the world, California is home to a vast number of wineries and vineyards. Fortunately for guests of the Carlton, one of the finest is located less than 20 minutes by car from our hotel. Niner Wine Estates, a family owned and operated labor of love, produces a wide range of highly sought-after vintages while also maintaining a rigorous commitment to environmental sustainability. Visit the tasting room any day of the week between 10 A.M. and 5 P.M. to enjoy the fruits of the season’s latest crop. The expert staff will be happy to help you find the bottle perfectly suited to your tastes as you sit back and marvel at the breathtaking views of Heart Hill Vineyard. You can also enjoy lunch at Niner Wine Estates’ award-winning restaurant, where ingredients are sourced from local farms, orchards, and ranches. If you would like to schedule a tour of the vineyard itself, call ahead to make a reservation. The friendly Niner folks will help you choose from three different tour options to ensure you have the best experience possible. When E.G. Lewis, the founder of the City of Atascadero, attended the 1904 St. Louis World’s Fair, he was so awe-struck by the fair’s Grand Basin (a massive reflecting pool), he knew he had to have something like that in his new city. Today, the Sunken Gardens park of Atascadero stands as a testament to Lewis’s extraordinary vision and a perennial source of civic pride for the city’s residents. Visitors will enjoy the well-manicured park as they stroll the paths traversing the length and width of the grounds and converging at the stately central fountain designed by renowned San Francisco architect Walter Danforth Bliss. The historic Atascadero City Hall, which is located on the edge of the gardens, is open for tours Monday through Friday, 8:30 A.M. to 5 P.M. As another added bonus, on Wednesdays from 3 to 6 P.M., park visitors will also enjoy the weekly farmers market, bringing you the best local, organic produce all summer long. As ardent animal lovers, we at the Carlton Hotel feel especially lucky to be located just five minutes from the Central Coast’s only accredited zoo. Founded in 1955 by county park ranger Charles Paddock, the zoo that now bears his name continues the important conservation and education work he started over half a century ago. The zoo comprises approximately five acres and can be zipped through (on foot, that is) in about an hour if you’re a power walker or enjoyed leisurely over the course of an entire morning or afternoon. With over 200 animals and some 45 unique species, Charles Paddock Zoo features several attractions that make it stand out among zoos of comparable size, including lemurs, meerkats, red pandas, a Malayan tiger, and some furry fossa (don’t worry, we had to look up that last one too). The zoo also prides itself on providing a comfortable experience for both its animals and its many human guests, which includes strollers for your little ones and an array of refreshments and commemorative merchandise available for purchase. Fun for the whole family, the Charles Paddock Zoo is the perfect spot to spend an afternoon connecting with delightful creatures both familiar and exotic. Just over an hour drive from our historic Atascadero hotel, you’ll find the Carrizo Plain National Monument, a spectacular setting with panoramic landscapes and a diversity of wildlife comparable to Africa’s Serengeti. Containing the highest concentration of threatened and endangered wildlife in California, the Carrizo Plain stretches for 250,000 acres along the base of the Temblor Mountains, 60 miles east of San Luis Obispo. Its vast grasslands, woodland habitats, and vernal pools sustain 15 of California’s threatened and endangered plants and animals. Here may rest the future of such species as the California jewelflower, San Joaquin kit fox, mountain plover, blunt-nosed leopard lizard, pronghorn antelope and giant kangaroo rat. The Carrizo Plain is also the largest protected habitat along the Pacific Flyway, making it a birder's paradise in winter months. In the spring, Carrizo’s rolling grasslands thrill wildflower enthusiasts with a breathtaking assortment of colorful blooms. The Carrizo Plain National Monument makes for an unforgettable day trip and is a must-see for anyone visiting us in Atascadero, during any time of the year!